The more I dig into FDA regulation of mobile health/medical apps, the more I worry that many pharma health apps aimed at consumers may be in FDA's crosshairs. At first, I thought that PhRMA and other industry spokespeople were engaging in a bit of fear mongering when they suggested that the FDA "will soon require apps such as medication prescription renewal reminders and blood glucose level tracking functions to be regulated as medical devices" (see "Mobile Regulatory Fears: PhRMA Raises an Alarm"). Then I interviewed Bradley Merrill Thompson, Member of the Firm at Epstein Becker & Green and General Counsel to the mHealth Regulatory Coalition. We discussed the prospects for FDA's final guidance on regulation of mobile medical apps (MMAs) and other regulatory issues that the mobile health community and FDA will need to face after publication of the "final" guidelines. 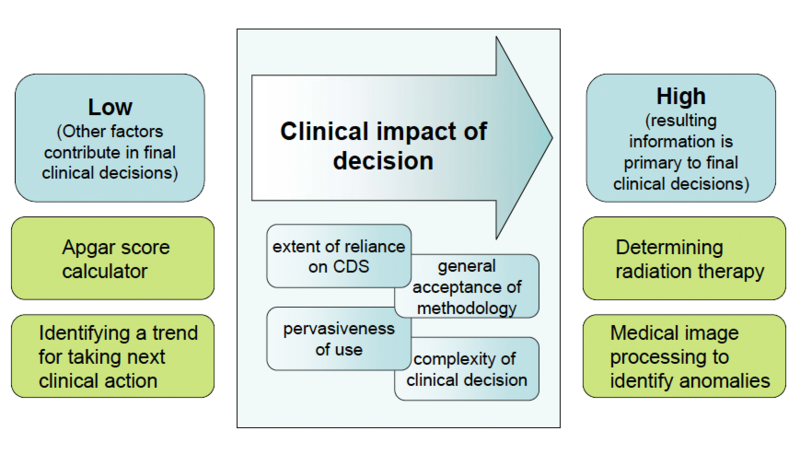 In his closing remarks, however, Thompson revealed that there is ANOTHER FDA mobile guidance that the drug industry should be concerned about: new guidelines regarding FDA's regulation of clinical decision support (CDS) software. You can listen to the full interview here. FDA has been regulating many different types of CDS for the last 20 years, but -- surprise, surprise -- it has never published a guidance document regarding its CDS regulatory program. Converting data could include the use of algorithms or formulas such as the Janssen's PASI calculator and other pharma apps (see "Checking Under the Hood of Pharma Mobile Apps" and "Some Unregulated Physician Smartphone Apps May Be Buggy"). These days, CDS software is increasingly being run by mobile apps. Hence, the importance of determining which apps are likely to be regulated as CDS devices. 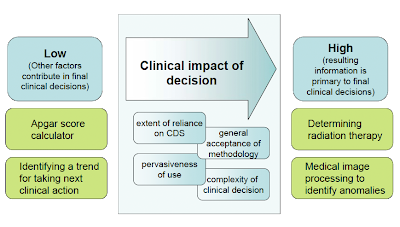 FDA says its regulation of CDS apps depends on the clinical impact of medical decisions made on the basis of such apps (see this FDA PPT and figure below).